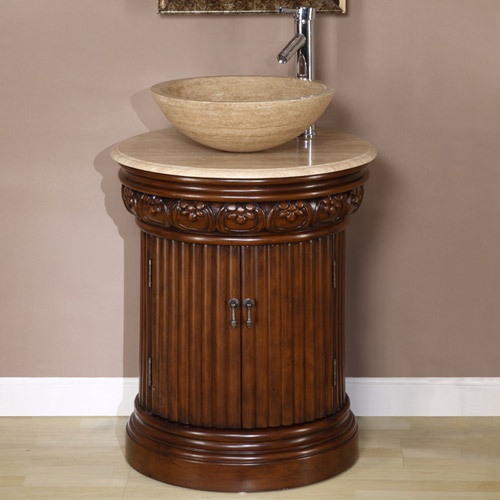 The Bastia Vessel Sink Vanity features intricate details and an elliptical, eye-pleasing design. 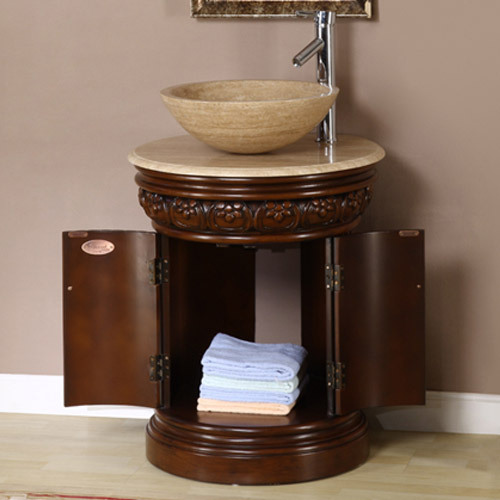 This vanity is hand painted and crafted, making the vanity you order unique. The countertop is Roman Vein-cut Travertine which is single-hole pre-drilled for vessel sink installation. 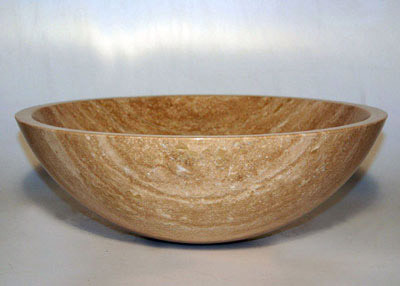 A matching Travertine vessel sink is available, but optional. Faucets sold separately, but options are available from the drop-down menu.